Pink plaid tweed weave - Irish tradition with modern color pizzazz! "We live our heritage. We make it our own every day." 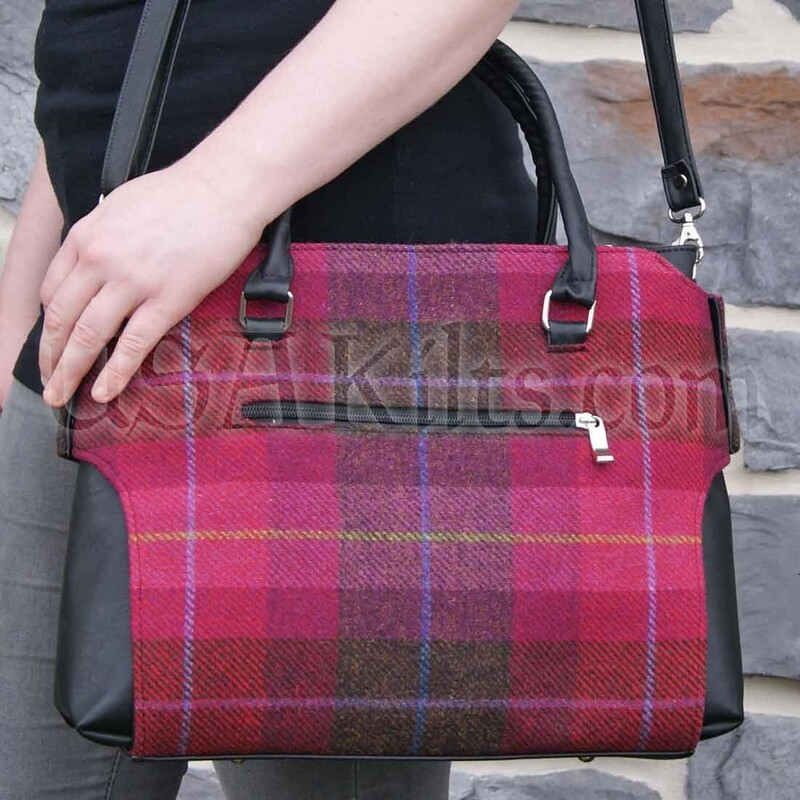 This genuine wool tweed handbag from Mucros of Ireland is fun, feminine and tough too (like a lot of Celtic ladies we know!). The vibrant fabric is 100% real Irish wool woven at Mucros' mill in County Kerry. The jewel-tone "tartan" pattern is made up of shades of pink, purple and tan with lavender, sage and royal blue accent stripes. Simply gorgeous. Measuring 14" x 11" x 6", this bag includes two compartments, two interior open pockets, two interior zip pockets and an external zip pocket. Lots of ways to organize your stuff. The faux-leather handles and an adjustable shoulder strap make it comfy to carry. Chromed steel zipper, reinforced bottom and seams.